The phrase, “home for the holidays” has very many connotations for everyone all over the world. For some, it may be driving up the coast to be with your family for Christmas. For others, it may be hopping on a flight to celebrate the New Year with beloved friends. Home for the Holidays in this instance, though, is all about active military men and women who are unable to connect with their family and friends during the holidays as they are serving our country overseas. All too often taken for granted is the freedom and homeland security afforded to us by these men and women dedicated to our country’s overall safety. To all of those sacrificing their lives every day to keep our freedom “free”, Joey’s Fund salutes you! Home for the Holidays, a fellow 501c3, is on a mission to unite active duty military families who cannot afford the travel expenses necessary in order to be together during the holidays. This fund helps families make precious holiday memories reality for those whom normally wouldn’t have the opportunity to be with loved ones during their deployments. Home for the Holidays not only assists in reconnecting these families, but also covers their transportation, lodging, and food expenses. Since inception, Home for the Holidays has been able to unite 52 military families – a total of 137 individuals and counting! Kudos to the dedicated team for bringing our soldiers “Home for the Holidays”! 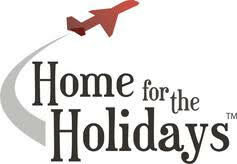 To learn more about this non-profit, please visit www.homefortheholidays.org. 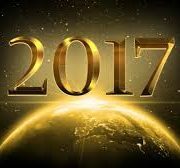 The Season of giving Welcome 2017!